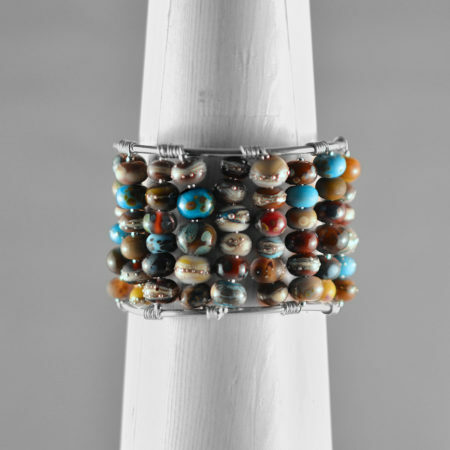 These unique, one size fits all wrap around bracelets are made of high quality memory wire filled with a large selection of my hand made lamp work beads. 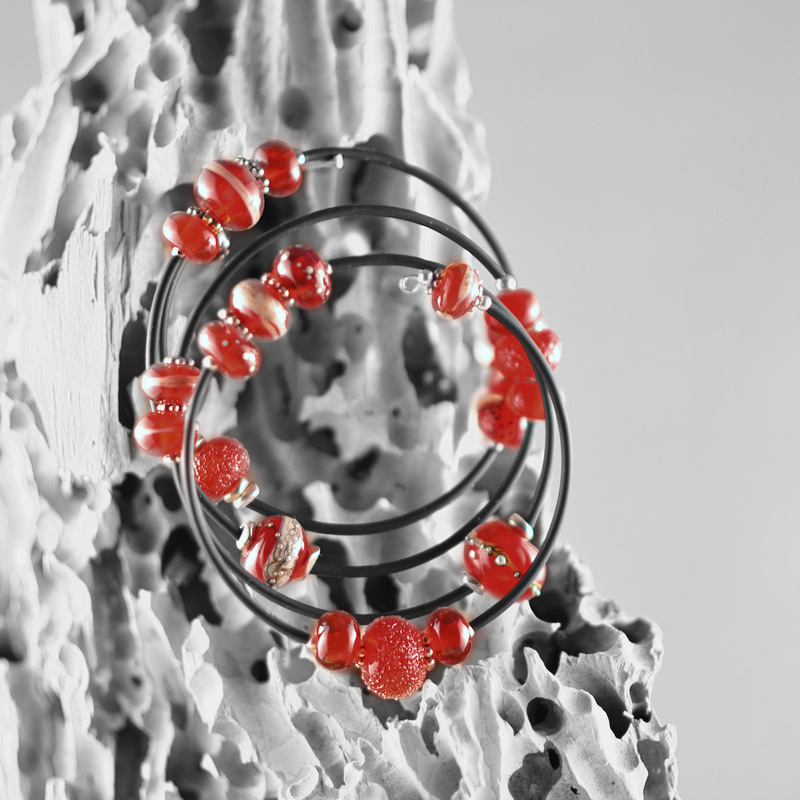 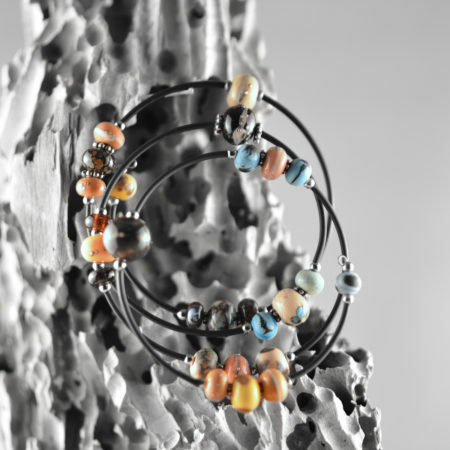 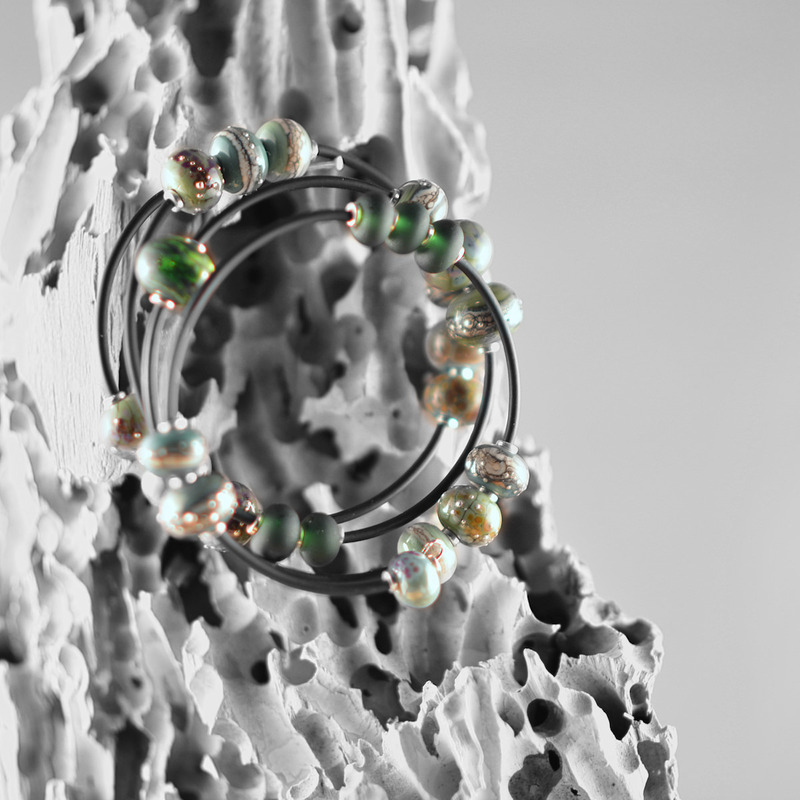 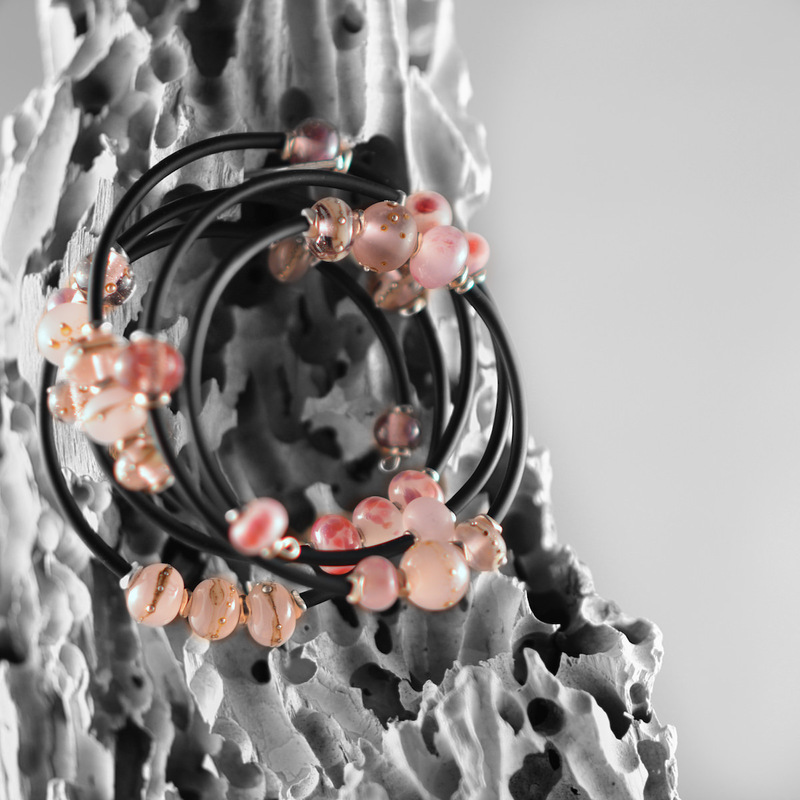 each cluster of beads is separated by a very attractive rubber tube which holds the beads in place. 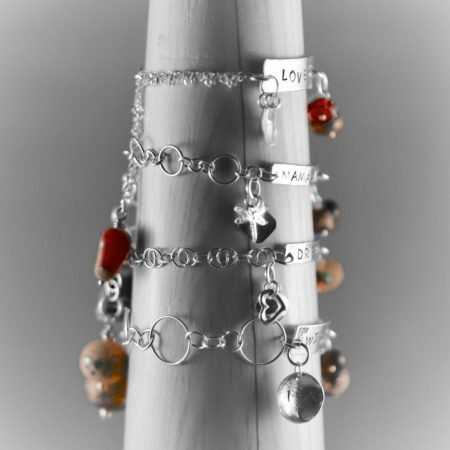 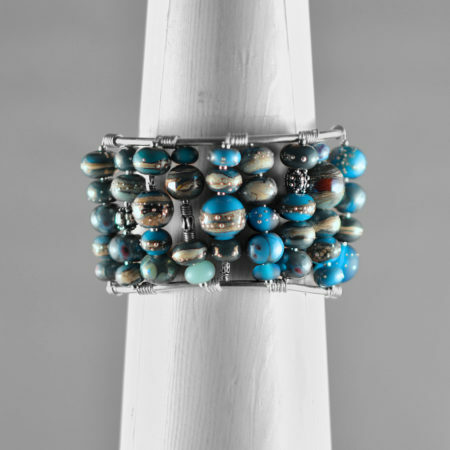 I like to combine fun colours of beads along with sterling silver findings to create a one of a kind, one size fits all bracelet.